While most people have heard of Wrangler, the awareness of its Riggs Workwear brand is low, which is why the company joined forces with NFL legend Brett Favre. 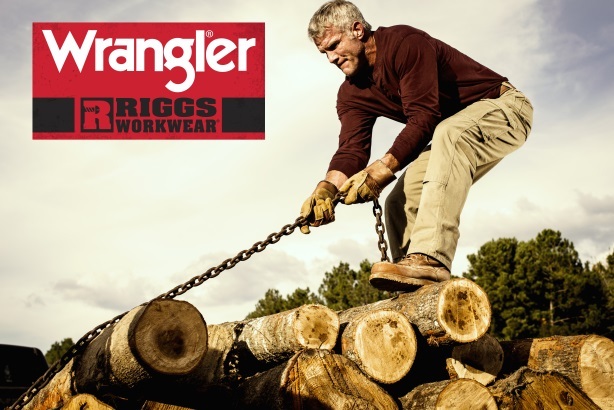 While most people have heard of Wrangler, the awareness of its Riggs Workwear brand is low, which is why the clothes company has joined forces with NFL legend Brett Favre to promote the industrial grade apparel collection. The integrated campaign, which is the first for the Riggs Workwear collection in its 10-plus year history, will kick off in June across radio, advertising, print, social media, and in-store activations and signage. Favre has been a longtime spokesperson for Wrangler, and since he already wears Riggs apparel, it made sense to partner with him, says Starr Dees, marketing manager at the company. She adds that the former Green Bay Packers quarterback is also "dependable, tough, and down to earth, so his qualities aligned perfectly for the brand." While the partnership with Favre was announced in February, Wrangler is choosing to release the main campaign elements in June to correlate with Father’s Day. The main demographic for Riggs Workwear includes men between 25-to 59-years-old, who are hardworking and looking for a very durable product, as well as comfort, explains Dees. She adds that research in the last few years shows people who wear Riggs Workwear love the products, but most people are not aware of the brand. To help build awareness, PR firm French | West | Vaughan, which has worked with Wrangler since 1997, will leverage its media relationships and seed products for testing to earn reviews and on-air visuals and mentions. The key message in the coverage is focused on communicating the unique product offerings of the apparel to drive in-store and online purchases. The firm will also manage the brand’s social media channels and will engage fans with imagery and information, and may tease out content leading up to the summer launch. Additionally, the agency will aim to reach a broader audience by launching exclusive product giveaways. "We are excited about the new campaign as we’ve worked with Favre for many, many years," explains the agency’s CEO and chairman Rick French.